Stories in Close Range have appeared in The New Yorker, The Atlantic Monthly, Harper's and GQ. They have been selected for the O. Henry Stories 1998 and The Best American Short Stories of the Century and have won the National Magazine Award for Fiction. This is work by an author writing at the peak of her craft. 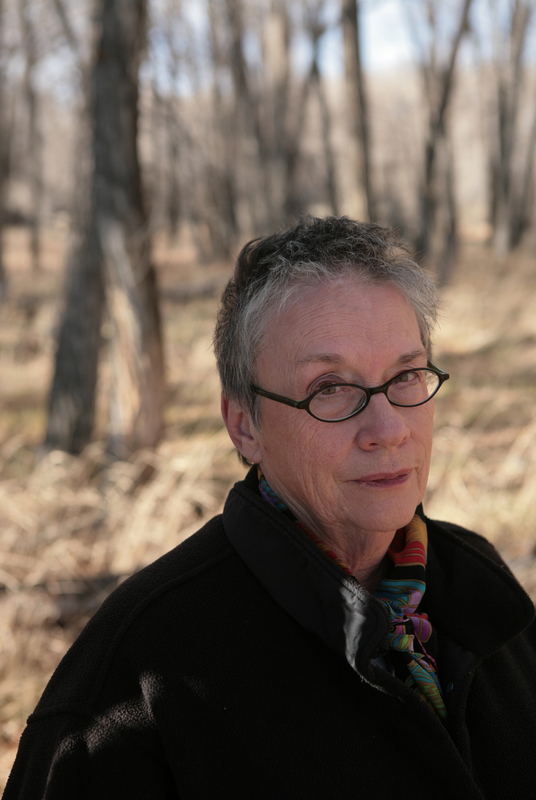 Annie Proulx, the critically acclaimed winner of the Pulitzer Prize and the National Book Award, is one of the most intensely original and authentic voices in American fiction. Her writing examines the lives of rural North Americans in the contexts of time and place, asking how these forces order human lives and behavior. Her latest collection of short fiction, Close Range: Wyoming Stories presents eleven unforgettable stories of isolation, violence, and redemption in the high plains country of Wyoming. It is an unsentimental look at the ranchers, bull riders, cowboys, women and small-town business people who survive in this tough place. The epigraph to the collection is a key to the stories: "Reality's never been of much use out here." The stories are laced with threads of the magical, the impossible, the folk tale. How does this dismissal of reality relate to the American myth of the west? In what ways does fantasy shape our lives and culture? 1.) In the story told by Mero's old man's girlfriend, the half-skinned steer becomes a terrible fate Tin Head knows he can't escape. What is Mero's half-skinned steer? How was he marked by it and by his Wyoming origins? What is the nature of Mero's journey? 2.) What drives Diamond, raised in town and meant for better things, to make himself into a rodeo bull rider? Are rodeo performers real cowboys? Does not knowing who his father is force him to invent a persona for himself? What are his feelings toward his mother, his young brother? 3.) Do you agree with Pake when he says that Diamond sees the bulls he rides as role models rather than opponents? What did Pake mean when he told Diamond, "you can't have a fence with only one post"? 4.) A fleeting clue to the identity of Diamond's father is in the story "Pair a Spurs." Does knowing that identity change your perception of the impasse relationship between Diamond and his mother? 5.) Does the title, "Job History" hold any irony? What do the jobs the members of this rural family hold tell us about their lives and opportunities? Do we learn more about them than the story's brevity and matter-of-fact style would suggest? 6.) What does this story say about the power of the home place over us? 7.) This story is a twist on an old folk tale, but here given a Wyoming setting and characters. What does Proulx's adaptation of this tale tell you about the collection as a whole? Are you supposed to read these stories as a literal reflection of life in the west? 8.) Compare the Dunmires and the Tinsleys -- each family's character and sensibilities, what each values, how they see the world, etc. What do their differences say about the error of stamping all rural people as similar in nature? 9.) Ras Tinsley falls victim to brutal vigilante action at the hands of the Dunmires. The Dunmires are stockmen. Is what the Dunmires do to Ras justifiable from their point of view as stockmen in this time and place? How is castrating Ras similar to culling an inferior animal from a herd? What is the flaw in that logic? 10.) Discuss the final line of this story. 11.) Ottaline feels trapped in a world that seems to have nothing to offer her, and finds escapes by listening in on other people's conversations on a scanner. Discuss the options women have in isolated rural areas. Low population density and lack of public transportation are two background factors in this story. What are others? 12.) After the tractor begins to talk to her, Ottaline learns that an accident that killed a ranch hand was intentional -- an effort, the tractor claims, committed to "save" Ottaline from the young man. Ottaline replies, "I could a saved myself, if I wanted to." Do you agree? Is that what she accomplishes later by marrying Flyby Amendinger? What places, or whose place, does Ottaline claim for herself? 13.) As the story develops Old Red seems pushed to the sidelines, yet he is never silenced by advanced age or the marginalization of his role in the family. Were you surprised that Old Red, along with Ottaline, is a survivor in this story? 14.) This story concerns complex relationships between men and women in a small community and prompts questions on the nature of love. The magic spurs infect Scrope with a strange and inescapable obsession. How does his changed behavior affect the other characters? What do the spurs represent? 15.) The world does not lack for women like Josanna Skiles who accept bad treatment from the men in their lives. Why cannot Josanna break out of the pattern? She sometimes thinks that she lives in "a miserable place." Why doesn't she leave and make a new life for herself somewhere else? How does the place she lives in define her sense of self? 16.) Josanna has close female friends, yet Palma throws herself at Josanna's boyfriend, Elk. Why don't these women have more respect for each other? 17.) Did this story's depiction of contemporary small-town Wyoming surprise you? Do you think of drugs as a rural problem? What are the hungers, behaviors, and social factors that drive this story? 18.) Why did Shy, a lifelong rancher, get involved with Wade Walls when it meant betraying his own community? What is the significance of the man stumbling through the waist-high grass who grants Shy his evil wish? 19.) In what ways do Shy and Wade represent fringe positions on the complex issue of cattlemen versus environmentalists? Which characters in the story do you think represent current contemporary Wyoming ranching practice? Why does Roany make a success of her business while Shy fails? 20.) What does this story say about the role imagination can play in lives defined by a remote setting and repetitive work? How does this brief story illuminate the collection as a whole? 21.) Both Ennis and Jack convince themselves that they aren't gay, and tell one another lies about the women in their lives. Is either man threatened by the other's relationships with women? Why is it so hard for Ennis to ask Jack if he was with other men in Mexico? How does Jack's disclosure affect their relationship? 22.) How can Jack and Ennis -- both gay men -- be homophobic? Does it seem possible to you that the two men might ever have lived together in rural Wyoming the way Jack wanted? How important is Ennis's tie to place and a rural life in this story? 23.) Discuss the symbolism of Jack placing Ennis' shirt inside his own on a hanger -- and Ennis's reaction to finding them after Jack's death. Why did Jack and Ennis never go back to Brokeback Mountain after the first summer? Annie Proulx was born in 1935, the oldest of five girls, in Connecticut, where her mother's English ancestors -- farmers, millworkers, inventors, artists -- lived for 350 years. Her father's Québec-born grandparents came to New England in the 1860s to work in the woolen mills. Her father continued in the textile tradition and her mother, who died in 1994, was a painter and amateur naturalist. 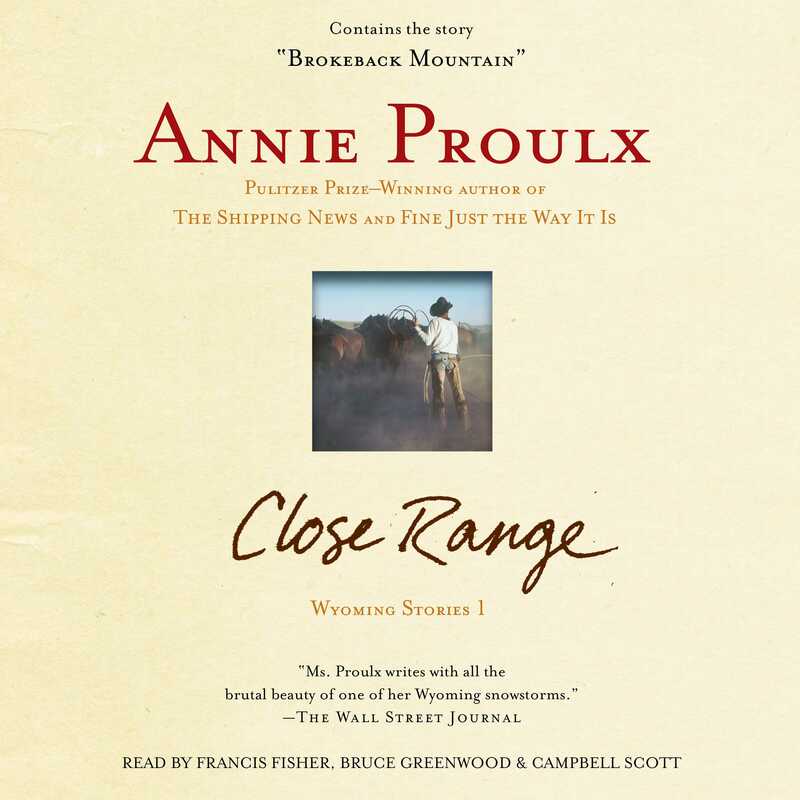 In 1995, Proulx moved to Wyoming, her long-time writing place. The stories in this collection have won many prizes, including O. Henry Awards for "Brokeback Mountain" and "The Mud Below." "Brokeback Mountain" also won a National Magazine Award. "Half-Skinned Steer" was included in both Best American Short Stories 1998 and Best American Short Stories of the Century. "The Bunchgrass Edge of the World" was chosen for Best American Short Stories 1999. Close Range was one of the eleven best books of the year chosen by the editors of the New York Times Book Review, and the top fiction choice of Entertainment Weekly. It was included in the lists of the year's best books by the Boston Globe, the Miami Herald, the Atlanta Journal and Constitution, and many others. Proulx's novel The Shipping News won both a National Book Award and the Pulitzer Prize for Fiction in 1994. Postcards won the 1993 PEN-Faulkner Award for Fiction. Her books have been translated into twenty languages.